Your Dad, husband, Grandpa, Father-in-Law, uncle, brother and every other great Father you know at the very least deserves a card to let them know they are loved and appreciated. Slip in a photo of the kids or just write a sweet message. 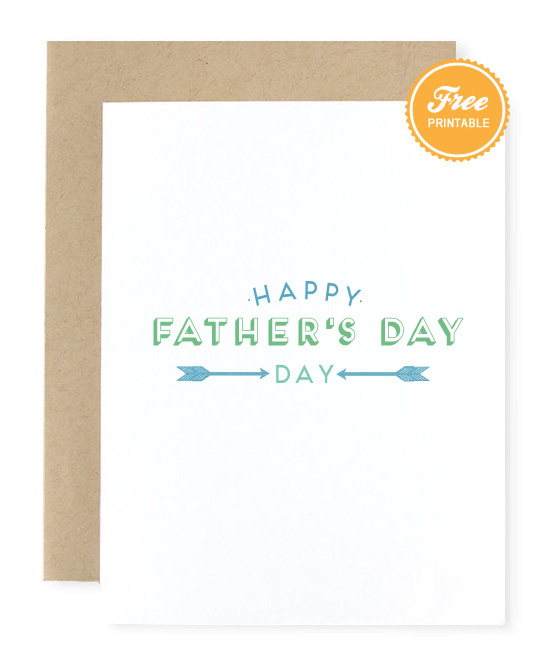 To make this super easy on you, we have a two free Father's day printable cards. All you will need to do is pick up any A2 (4.25 X 5.5) card stock or put in a piece of card stock in your printer and hit print. 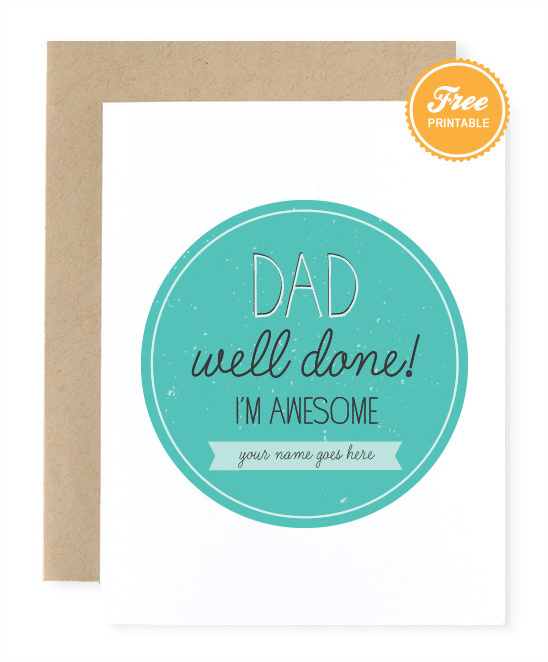 You can download our I'm Awesome card here! Be sure to write your name in the white banner box. Now that you have you printed out your free Father's Day card - here are a few fantastic gifts that any Father would love to receive. From a fold up bbq set to an essiental travel kit for the Dad that is on the go. You can easily pass our Happy Father's Day Card out to every Dad you know. Shown with a white card stock and a kraft colored envelope. Both can be bought at any place that carries envelopes or stationery.